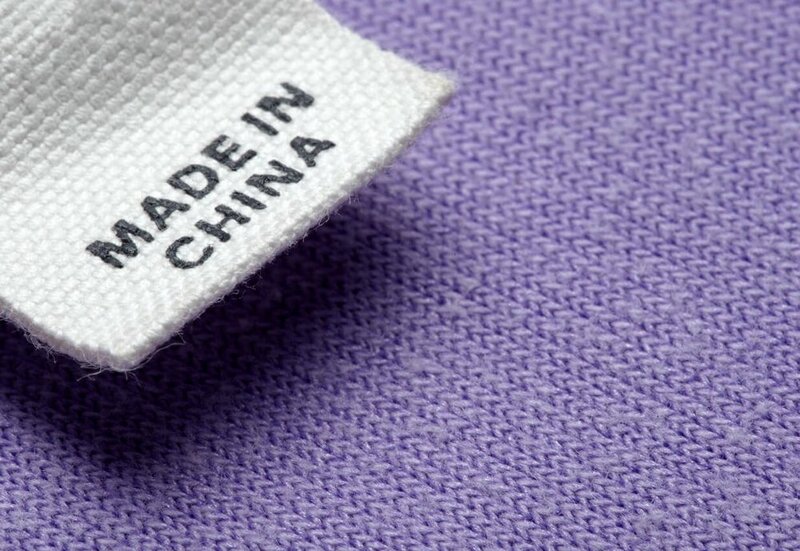 Made in Bangladesh, Made in Brazil, Made in India, Made in Pakistan, Made in Cambodia, Made in Ecuador, Made in Thailand, Made in Mexico, Made in Ethiopia, Made in China…and the list goes on. We have all seen these words strewn across labels on pieces of clothing throughout our lifetime. Whether it be turning our clothes inside out for laundry days, or checking the tag of that really cute romper we saw last week at the mall - these words do not escape us. In a world with a global economy where imports and exports are a daily occurrence, it is vital for us to be informed and aware of where our products originate. It can be easy to look at these labels once and then never look back. We are all guilty of not taking a few minutes to think deeply about where the clothes we wear every day come from. There are several factors to consider when looking at the source of our daily fashion. First, we must think about the conditions in which our clothes are produced. Secondly, we must examine the treatment of those who create the chic, yet comfortable, clothes we constantly display. When looking at the aforementioned list of source countries, it is important to note that those are all considered “developing” nations. The assets of these developing nations can be extremely limited and are always looking for room to grow, so these nations look for international business opportunities. Governments of developed nations find that outsourcing labor to developing countries is extremely cost-effective, so they seek out partnerships with developing countries. However, when looking at the cost-effectiveness of outsourced labor, corporations in developed nations fail to recognize the extent of how grueling the work for the laborers in developing countries may be and how improper their work environments are. Citizens of developed nations should no longer be dismissing the fact that 68% of human trafficking is labour to support the cheap goods we use every day. It is our fundamental responsibility to no longer be ignorant. Individuals must educate themselves on where and whom their products are coming from. The organization helps to make consumers feel as though they are making a positive change, rather than make them feel guilty of their past unethical shopping habits. It allows individuals to feel empowered by their actions when looking for that perfect first date outfit, or for attire that screams “corporate queen.” As a whole, the organization does not point fingers at specific agencies that do not participate in fair trade, but instead tries to initiate a systematic change in the fashion industry. The driving force behind Fashion Revolution’s mission is their ability to instill in consumers tools to become more informed, and that each consumer has what it takes to make a positive impact in our world. The organization provides several tools and action ideas for individuals to choose from, and challenges the consumer to think about, “#whomademyclothes” and empathize with the producers of their apparel. With Diwali, Thanksgiving, Black Friday, Hanukkah, Christmas, and Kwanzaa quickly approaching, overconsumption is at its peak. Instead of going to our usual stores, we can look into shopping ethically together. Each year, Dressember Foundation’s, “Ethical is the new Black,” email is sent out via our mailing list with exclusive deals from some of our favorite ethical brands. If you have not done so already, you can subscribe below to kick-start this holiday season with great offers! We hope you consider taking a moment to contemplate who made your clothes, so you, too, can become a local #revolutionary fashion icon. 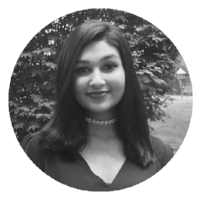 Mrinalini Nagarajan is a junior at University of Maryland, College Park studying Criminology & Criminal Justice as her major, and Cybersecurity and Spanish as her minors. In her free time, she likes to work for her school's athletics department, watch Game of Thrones, only seasons 1-8 of How I Met Your Mother, F.R.I.E.N.D.S., Dexter, and Parks & Recreation, plan creative events, and take really long naps. She is super excited to be partnering with Dressember to publish educational content regarding the fight to end modern day slavery.